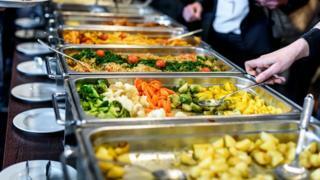 UK holidaymakers who make bogus food poisoning claims could go to prison, warns travel trade organisation Abta. A huge rise in false claims has left travel bosses "embarrassed" by a trend which they say is a "British problem". He added that tourists chasing false or exaggerated claims "risk ending up in jail either in the UK or abroad". Tens of thousands of UK tourists have put in for compensation in the past year, even though sickness levels in resorts have remained stable. Young people "most likely to go abroad without insurance"
Abta says the cases usually involve holidaymakers who have been abroad on all-inclusive deals, who argue that because they only ate in their hotel, that must have been the source of their alleged food poisoning. It has launched a campaign called Stop Sickness Scams, asking the government to clamp down on the issue. It says laws designed to stop fraudulent claims for whiplash have instead pushed the problem of false insurance submissions on to overseas holidays instead. This is because of a cap on the legal fees that can be charged by law firms pursuing personal injury cases at home. Mr Tanzer added: "The government must urgently address this issue. The legal loophole that is allowing firms to unduly profit from these claims must be closed. Travel firm Tui said it had experienced a 15-fold rise in holiday sickness claims in the past year, costing between £3,000 and £5,000 a time, which was often more than the value of the holiday itself. Tui's UK managing director Nick Longman and Thomas Cook UK's managing director Chris Mottershead both warned that if the problem continued, it could spell the end of the all-inclusive holiday for UK travellers. Mr Mottershead said: "It has the potential of putting hoteliers out of business. They will stop British customers coming into their hotels." Joel Brandon-Bravo, managing director of Travelzoo UK, told BBC Radio 5 live's Wake Up To Money that the upward trend was being driven by claims management companies. "People are being called when they get back from holiday and encouraged to make claims and we've also seen evidence of them employing touts outside resorts encouraging people to make a claim and walking them through the process to make it easy for them," he said. Mr Brandon-Bravo added that he felt people who were trying to cheat the system were not aware of the consequences if they were caught. "Generally it is not made clear that if a claim is found to be fraudulent the individual could have a criminal record. "In fact, there is one case going through right now with a Greek hotel, who is counter-suing a couple who made a claim for sickness three years ago for £10,000 and the hotel is counter-suing them for £170,000. "They tried to withdraw their claim but they are seriously worried they could lose their house." Package holiday operator Jet2 has decided to hire private detectives to tackle the issue. It says it is using the private eyes for "one purpose and one purpose only - to prevent this dishonest behaviour from ruining the holidays of our customers". It added: "The net really is tightening on this dishonest and deceitful practice, and we will not relent until these touts stop trying to take advantage of British holidaymakers." The Foreign Office has also advised tourists against making any fraudulent claims. "If you make a false or fraudulent claim, you may face legal proceedings in the UK or Spain," the FCO warns. "There have been reports of an increase in holidaymakers being encouraged to submit a claim for personal injury if they have experienced gastric illness during their stay," says the FCO website. "You should only consider pursuing a complaint or claim if you have genuinely suffered from injury or illness." The Alliance of Claims Companies told the BBC it was hoping to establish industry best practice principles that would help drive out rogue companies. It wants to work with the travel industry to ensure genuine claims are dealt with effectively.